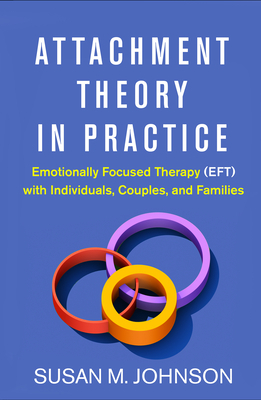 Susan M. Johnson, EdD, is the leading developer of emotionally focused therapy (EFT). She is Professor Emeritus of Clinical Psychology at the University of Ottawa, Ontario, Canada; Distinguished Research Professor in the Marriage and Family Therapy Program at Alliant International University in San Diego; and Director of the International Centre for Excellence in Emotionally Focused Therapy. Dr. Johnson has been appointed to the Order of Canada, one of the country’s highest civilian honors. She is a recipient of the Family Psychologist of the Year Award from Division 43 of the American Psychological Association and the Outstanding Contribution to Marriage and Family Therapy Award from the American Association for Marriage and Family Therapy, among other awards. Dr. Johnson is the author of acclaimed books for professionals, including Attachment Theory in Practice and Emotionally Focused Couple Therapy with Trauma Survivors, as well as bestselling books for general readers, including Hold Me Tight and Love Sense.